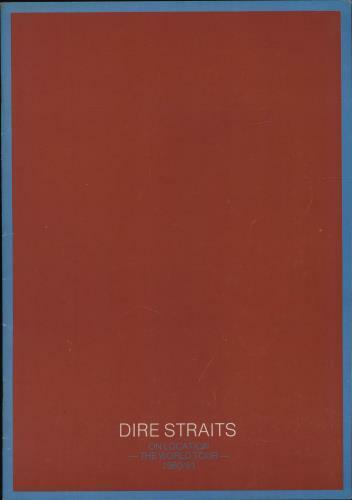 DIRE STRAITS On Location - The World Tour (Official 1981 UK tour programme packed with fabulous photographs, a wonderful feature of a map of the world detailing the many countries the band were to perform in, also includes pictoral discography. 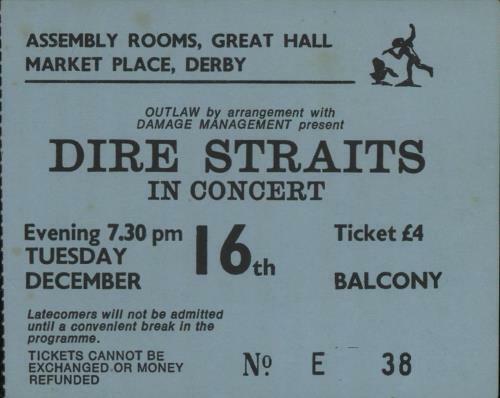 The cover displays only light general wear & signs of age, also includes a ticket stub for the 16th December at the Assembly Rooms in Derby - a great piece of early 80's Dire Straits tour history!! ).